KIEV, Ukraine -- On September 8, 2015, former Ukrainian president Leonid Kuchma arrived in Minsk. He travelled to the Belarusian capital, as Ukraine's representative to the Trilateral Contact Group that seeks to end the conflict in Donbass. At the summit that followed, Kuchma called for the withdrawal of heavy artillery from Eastern Ukraine, and urged the UN to send a peacekeeping force to war-torn Donbass territories. Kuchma's prominent stature as a diplomat, more than ten years after his ignominious handover of power to Viktor Yushchenko, has intrigued and confounded Ukraine experts. His political rehabilitation also makes for a dramatic redemption story. Kuchma was disgraced by allegations of corruption, authoritarianism and murder while in office, and had single-digit approval ratings in the months leading up to the 2004 Orange Revolution. Two factors explain Kuchma's substantial influence on Ukraine's foreign policy, since the 2014 Russian annexation of Crimea. First, Kuchma has continued to be a prominent voice in Ukrainian politics after leaving office. The failures of his successors, Yushchenko and Yanukovych, have caused the Ukrainian public and elites to retrospectively view Kuchma's presidency more favorably than they did while he was in office. Second, Kuchma is respected internationally as a competent defender of Ukrainian interests, with a proven track record of making deals with the Kremlin. Kuchma's post-presidential life has undoubtedly been the most active and colorful of any former Ukrainian president. Due to his blatant support for Yanukovych's failed 2004 election campaign and rumors of his involvement in the poisoning of Yushchenko, Kuchma had a hostile relationship with the new president. In February 2005, Yushchenko announced a broad-based anti-corruption campaign targeting "privatization theft" in Ukraine. This investigation included probes into steel company Kryvorizhstal. Kryvorizhstal was sold to Kuchma's son-in-law, Viktor Pinchuk in June 2004 for $800 million, a bid that was only half as high as that placed by his competitors. Yushchenko's controversial September 2005 decision to sack Prime Minister Yulia Tymoshenko briefly improved relations between the two men. Kuchma had a cordial public meeting with Yuriy Yekhanurov, an Eastern Ukrainian Orange Revolution figure, and urged Yushchenko's opponents not to "aggravate the situation." Kuchma's solidarity with Yushchenko during the 2005 crisis was probably motivated by two factors. First, Kuchma found himself politically isolated after he left office. He was despised by Orange Revolution supporters, and scathingly rebuked by his former Prime Minister Yanukovych, for betrayal and inaction in preventing the "orange coup." Kuchma's attempts to ingratiate himself with Yushchenko were his first steps towards healing the wounds that tarnished his legacy as president. Second, as the Financial Times reported at the time, Kuchma wanted to frame the investigation of Viktor Pinchuk as purely a Tymoshenko revenge operation. By helping to isolate Tymoshenko, he would be able to discredit the corruption allegations swirling around his son-in-law. Kuchma's improved relationship with Yushchenko was short-lived and he soon resumed his fierce public and private criticisms of the administration's policies. A February 3, 2010 confidential interview declassified by WikiLeaks, between then-US ambassador to Ukraine John F Tefft and Kuchma, reveals Kuchma's discontent with Yushchenko's style of governance. Kuchma claimed that non-stop fighting between Yushchenko and Tymoshenko prevented Ukraine from developing an effective economic strategy. He also condemned Yushchenko's praise of anti-Soviet Ukrainian partisan Stepan Bandera, as a "Hero of Ukraine," as a move that would deepen Ukraine's ethnic divisions. Kuchma's endorsement of Yanukovych during the 2010 election campaign did not surprise Western or Ukrainian observers. But Yanukovych did not reward Kuchma for his support. In 2011, Kuchma was finally indicted by Ukrainian courts for his alleged involvement in the 2000 beheading of journalist and regime critic, Georgiy Gongadze. It was ironically, Yanukovych's fall from power that allowed Kuchma to return to the limelight. 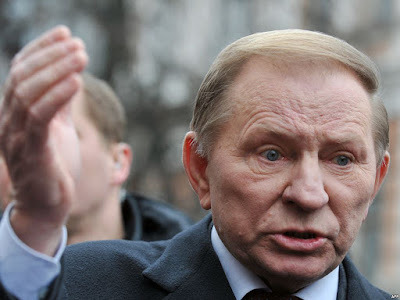 Kuchma expressed his strong opposition to Russia's military intervention in Donbass, and Ukraine's new president Petro Poroshenko selected him as the Ukrainian government's representative in the June 2014 peace talks with the Donetsk and Luhansk republics. Even though the Ukrainian people had overthrown Kuchma's hand-picked successor just months earlier, Euro-Maidan did not discredit Kuchma. In our July interview, Oleh Rybachuk, Yushchenko's Chief of Staff and former Deputy Prime Minister of Ukraine for European Integration, told me why Kuchma's reputation after the Orange Revolution was not as scathed as Yanukovych's was after Maidan. Rybachuk said: "Zbigniew Brzezinski once said that every Ukrainian president is worse than his predecessor. Yushchenko and Yanukovych were both worse than Kuchma. Kuchma looks like a liberal compared to Yanukovych. We used to be horrified by corrupt officials like Lazarenko, but his hundreds of millions of dollars in stolen money make him look like a beggar compared to Yanukovych's dozens of billions in pocket money." Kuchma's non-violent handover of power after the Orange Revolution also improved his image relative to Yanukovych. Even though Ukraine's security forces had defected from the regime by late 2004 and Kuchma had no viable repression option, his restraint was appreciated after Yanukovych cracked down violently on the 2013-14 demonstrations. Kuchma's greatest strength as a negotiator comes from his uniquely extensive experience making deals with the Kremlin on matters that affected Ukraine's vital interests. In contrast to his predecessor Leonid Kravchuk and immediate successor Yushchenko who both espoused Ukrainian nationalist and pro-European values, Kuchma's initial supporters were ethnic Russians in Eastern Ukraine. Kuchma's 1994 election campaign slogan was "Russia and Ukraine: Less Walls and More Bridges." Kuchma's willingness to engage in clear-headed diplomacy with Russia explains why he was a more effective foreign policy president than Kravchuk, who conflicted openly with Russia and faced natural gas supply cutoffs from 1992-1994. As Editor-at-large of the Kyiv Post, Mark Rachkevych, told me in July, Kuchma effectively negotiated with Russia over the Kerch Strait, a controversial land bridge linking the Sea of Azov to the Black Sea. Kuchma's rhetoric and political posturing provided a delicate balance between Ukrainian nationalism and pro-Russian sentiment. Kuchma famously entitled his 2003 book Ukraine is not Russia, to counter those who were skeptical of his commitment to Ukrainian sovereignty. Yet only a year later, Kuchma infuriated Yushchenko by visiting Moscow as Yanukovych's 2004 election campaign unraveled in the wake of election fraud and mass protests. Kuchma's stance as a negotiator under Poroshenko is much more rhetorically confrontational towards Russia than his actions as president would have predicted. 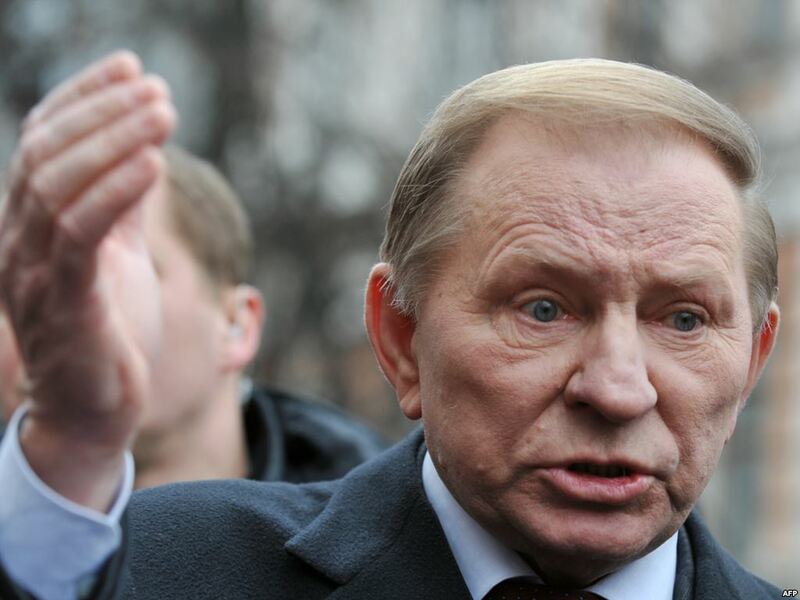 Kuchma chided the West for not taking more serious action against Russia after the Debaltseve ceasefire violations, and insisted that Ukraine must recapture the Donbass territories annexed by Putin in 2014. Despite this hawkish stance, Kuchma remains a valuable asset as Ukraine attempts to seek a viable middle ground with Russia. In my interview, Oleh Rybachuk compared Poroshenko's appointment of Kuchma to the United States' use of former presidents to negotiate during Middle East peace talks and crisis situations. In spite of his dubious actions as president or maybe even because of them, Rybachuk believes that Kuchma is held in high esteem by both the Donetsk separatists and Russia. This is a quality unmatched by anyone currently serving in the Ukrainian government. The revival of Kuchma's political career was one of the most unexpected byproducts of the current Ukraine conflict and one that also nakedly exposes Ukraine's dearth of respected conflict negotiators. Should Kuchma be able to advance Ukraine towards peace on acceptable terms, his legacy as a diplomat could go a long way towards covering over negative historical memories of his presidency.